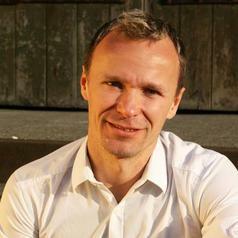 Morten Meyerhoff Nielsen is an academic fellow at United Nations University, Operating Unit for Policy-Driven Electronic Governance (https://egov.unu.edu) and a reseacher at Tallinn University of Technology, Ragnar Nurkse School of Innovation and Governance (www.ttu.ee/nurkse), in Estonia. He currently works on eGovernment strategy development and evaluation (Albania, Faroe Islands, Georgia), performance management (Albania), reuse of public sector information (Horizon 2020), internet voting (Australia, Estonia, Switzerland), ICT facilitated administrative burden reduction and public service delivery, teaching on eGovernment, innovation and social media related issues (e.g. www.msm.nl, www.ttu.ee, www.eipa.eu, www.wnpid.amu.edu.pl/en/). Morten is an author and co-author of various publications, a reviewer for GIQ, IJEG and PAIT and on the conference committees of the CeDEM, ICEGOV and IFIP eGovernment conference series. Finally, he was a member of the European eGovernment Awards consortium (2003-2009), first non-Swedish member of Swedens Guldlanken Awards jury (2009-2013), the HM Sultan Qaboos eGovernment Award jury in Oman (2010-2012,2016), and the Smart Government Award in Dubai (2015-2016) evaluating on- and offline public sector delivery services. Other areas of expertise include development and implementation of tender proposals, seminar and conference organisation. Technical assistance and knowledge transfer to SME’s in developing countries, democratisation, international trade and foreign direct investments issues.